HW's Pest & Disease Tracker delivers the latest pest and disease alerts, outbreaks and interceptions, plus key plant health news, research and management information. For access to articles you will need to subscribe to Horticulture Week. 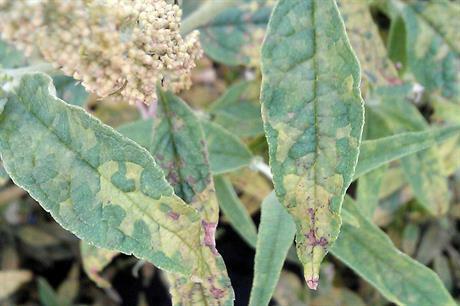 Alert - downy mildew Read on for the latest Pest & Disease Tracker Alert. CLICK HERE to view a sortable and regularly updated table of key Brexit-related policy, legislation and guidance documents published by the UK Government, devolved administrations and the European Commission, relevant to horticulture. EAMU Expiry alert: June 2019 EAMU authorisations that are due to expire by the end of June 2019. 15 March - Caterpillars & mildew Caterpillars Control in IPM systems using Agree 50 WG, Delfin WG, Dipel DF, Conserve or Explicit (EAMU 2011-2090). Use Decis, Runner (EAMU 2012-0448) or Toppel 100 in non-IPM systems. How can growers identify this fungal disease and what practice and products can prevent outbreaks? This bulletin is exclusive to subscribers and forms a part of your subscriber package. You can manage which bulletins you receive online in the My Bulletins section, or unsubscribe using the link below.